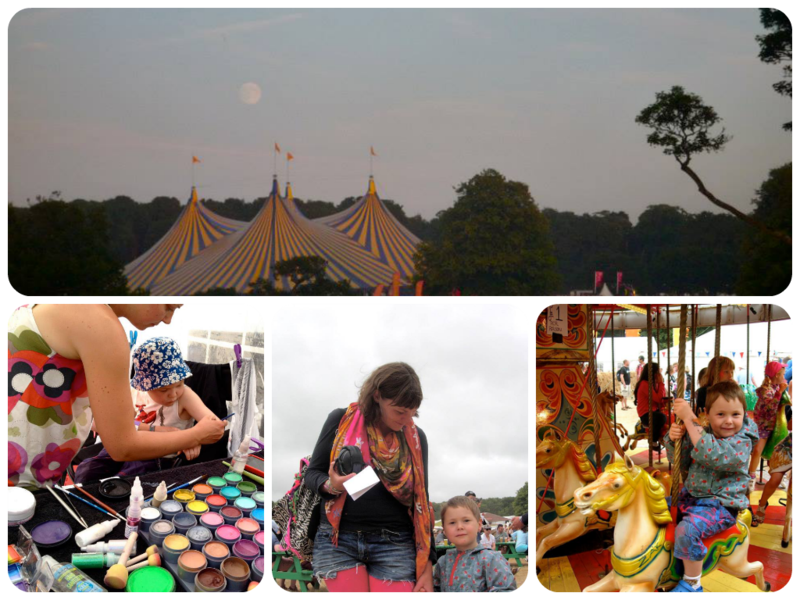 As Camp Bestival gets closer, we're getting pretty excited by the prospect of attending this year. As a result we've been keeping a fierce eye on their news page. On Friday they announced Project Wild Thing would be joining them for the weekend, creating an area for kids to really get back into the wild, activities will include building fires, tree climbing, identifying plants and animals and much more. Camp Bestival are also running a competition to win festival t-shirts for your entire family. All you have to do is download the Wild Thing app, get outside, put the app to good use, snap some pictures and email them over to Camp Bestival (details here). I downloaded the app straight away but unfortunately the dire weather meant it was a few days before we had the chance to use it. Finally yesterday the rain stopped and the sun even made a brief appearance. 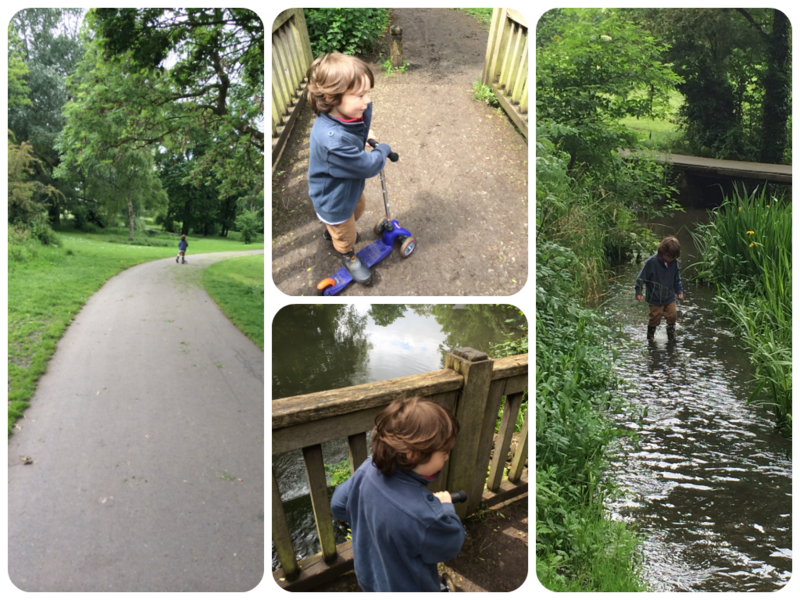 We headed to one of our favourite parks in Cheltenham (Pittville) though we are so lucky here to have many to choose from. The app is a great resource of outside activity ideas, broken up into sections depending on the amount of time you have available. We concentrated on the shorter activities, sticking to the 20 minute section, just because I was fearful the weather could change at any moment. 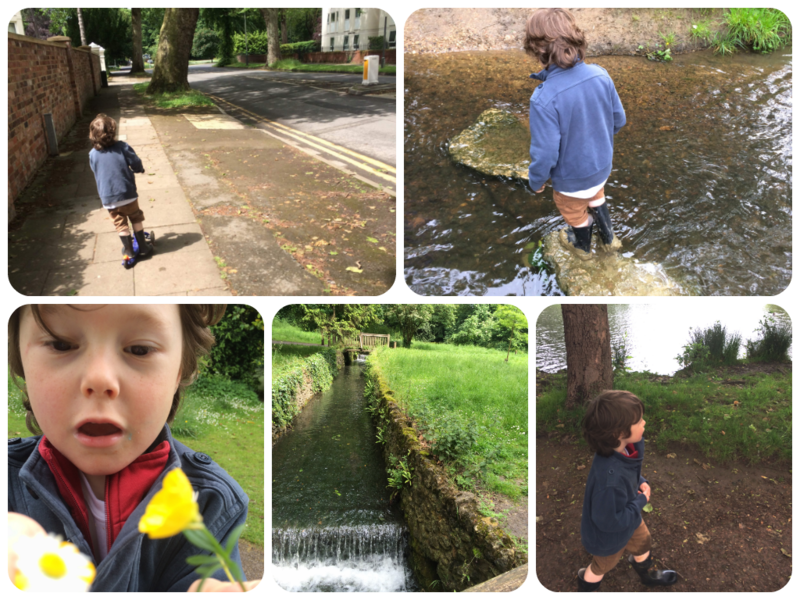 We hunted out 5 different flowers, prowled around stealthily like foxes and turned over rocks to discover 'mini beasts' (as Milo called them). 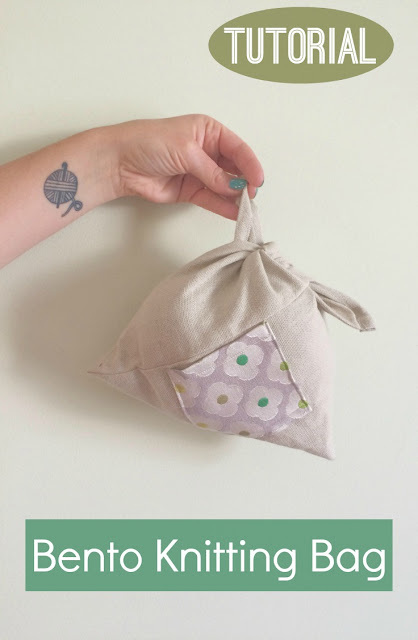 One we haven't tried yet but I love the sound of is; walking though grass with an old sock over your shoe, once it's really dirty, pop it in a clear plastic bag with a squirt of water and leave in the window to see if anything grows! This is a great resource and something I can see us referring to loads over the next few months and beyond. If you fancy getting outside into the wild yourself, you can download the app for iOS here and android here. 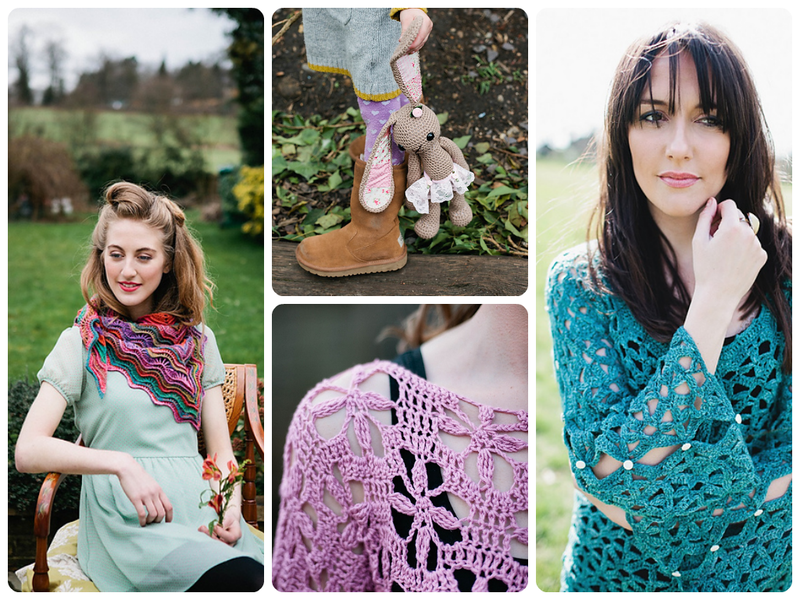 Quite a few months ago now, Angie of Ask Baby Cotswold and I did a bit of a skills swap. 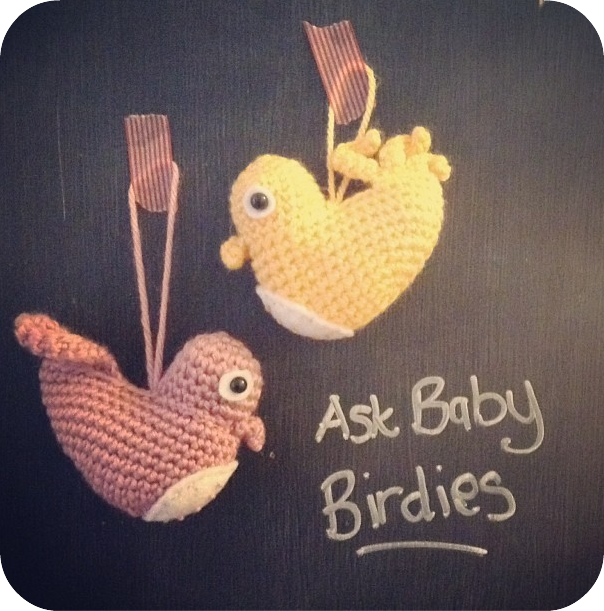 She designed a logo for my crochet business and I wrote a pattern for the little bird logo of her business. 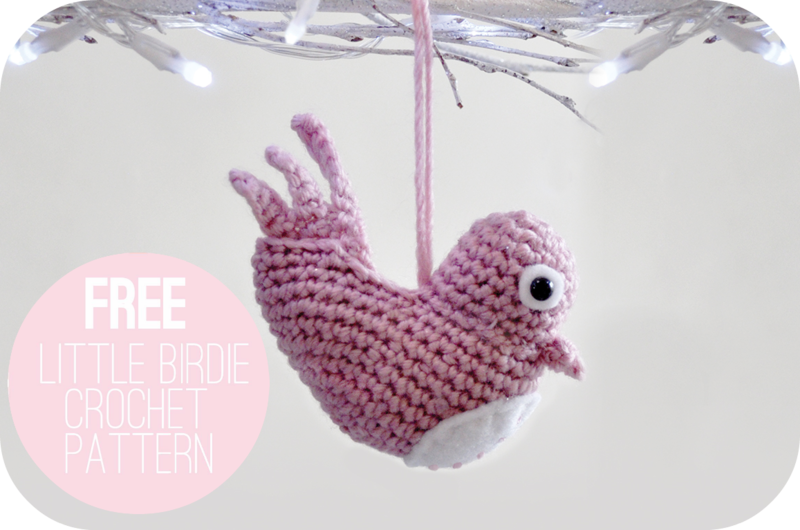 I completely forgot at the the time to blog about it, but the pattern is available over on her website for free, if you fancy making up your own little bird. They make great little decorations and I'm thinking I might make some up in brown come Christmas, with little red felt patches to become robins for my tree. The weather has not yet improved and doesn't look much like it will, not during half term anyway. So I've been scouring pinterest in the hope of some rainy day entertainment for the little one. Of course I was not disappointed! 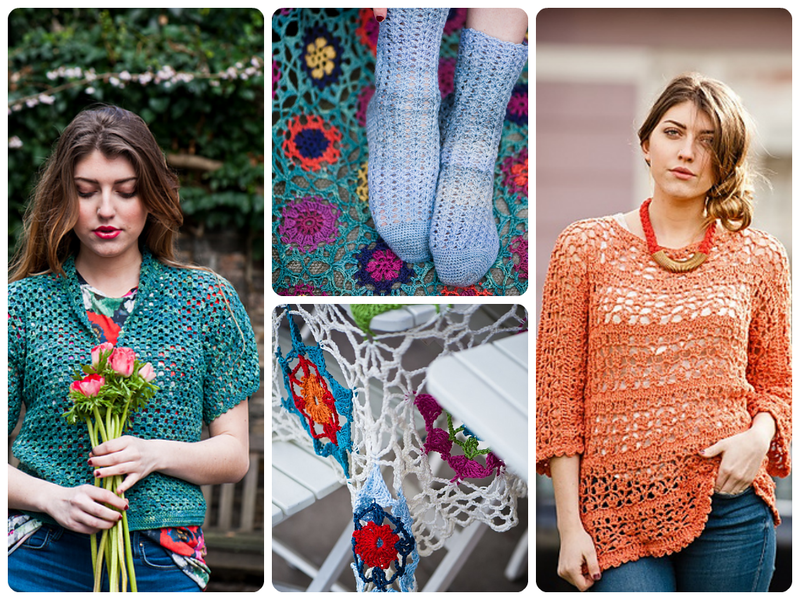 I cannot wait to get started on some of these lovely ideas. Click the little pictures at the bottom to see the original source of the images above, or click the big picture to see more of my pins over on pinterest. For Easter weekend we headed down to Johnny's grandparents house, which has become so much of a tradition, Milo considers this trip 'going to Easter'. Whilst there, among all the many wonderful dishes and copious amounts of chocolate on offer, we sampled some rhubarb sorbet, created by Johnny's Grandpa. I couldn't believe how delicious it was. It had such a sweet flavour that I can't quite put my finger on, but ever since then I've been dreaming of attempting my own version. 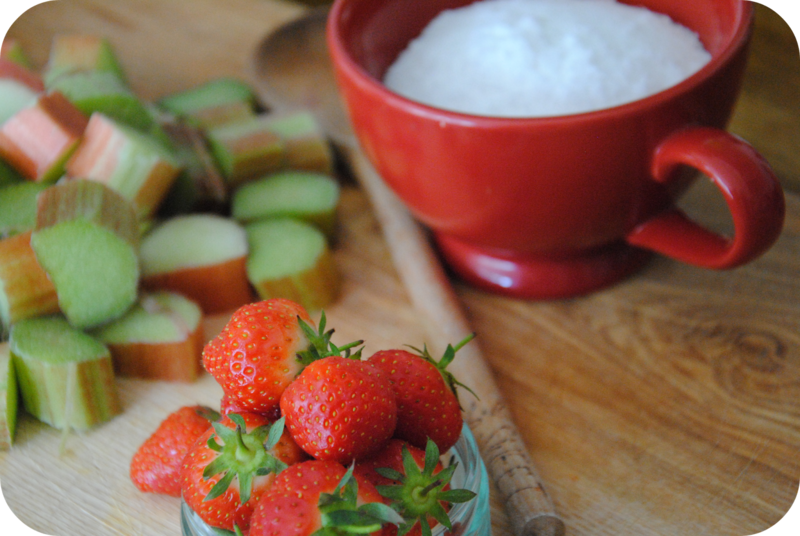 So when my lovely next door neighbour presented me with 2 sticks of rhubarb last week, it seemed like the perfect time to have a go, I already had half a punnet of strawberries sitting in my fridge, so I figured this classic combination seemed too good to miss. I'm so pleased with how this turned out, adding the strawberries really brings it together I think. 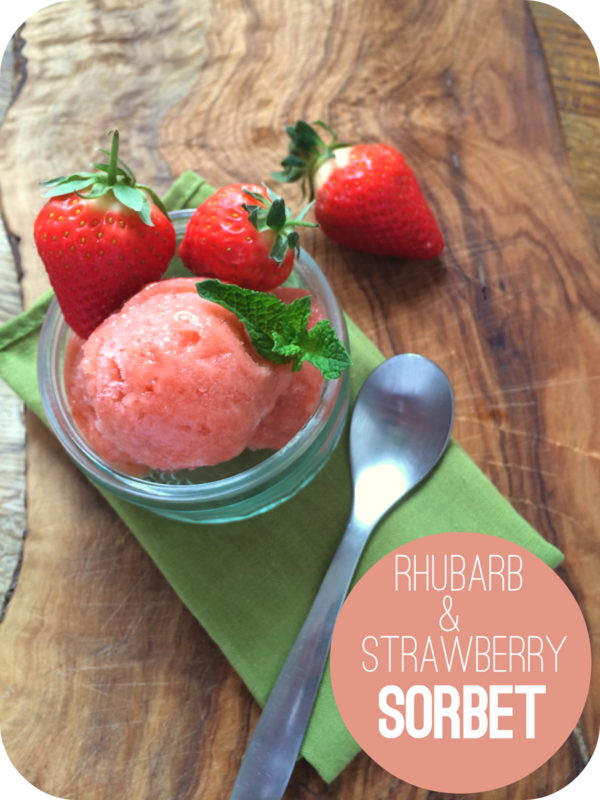 I'm especially grateful for this taste of summer on a dull, grey, rainy day like today! I don't have an ice cream machine, so this recipe assumes you don't either, though if you do I'm sure it's fairly simple to make that work too. 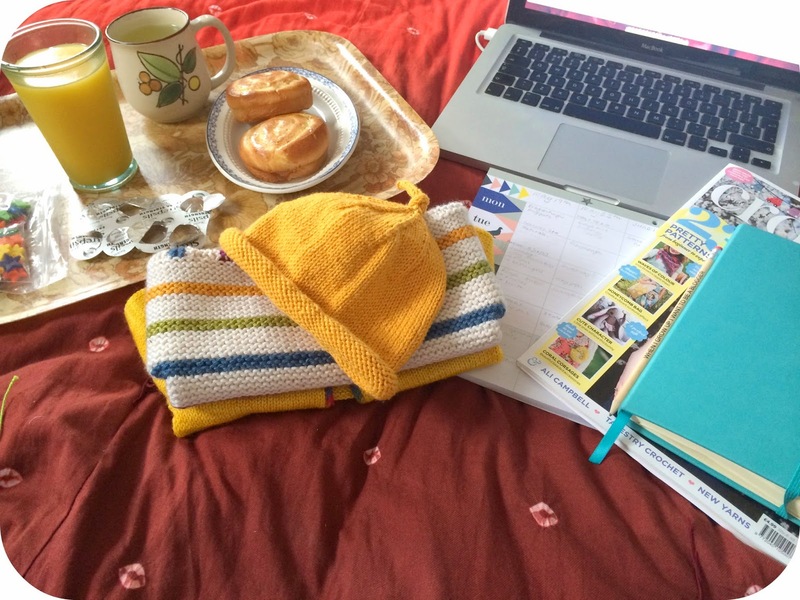 Exactly how many homemade blankets a baby needs, I'm not entirely sure, but with the few I have kept from when Milo was a baby and the 3 I've already started for the new baby, I'm fairly sure I'll have more than enough! When I say the, '3 I've already started' I mean just that, they're no where near finished yet. I don't have a great track record of finishing blankets, so we'll see how this goes. 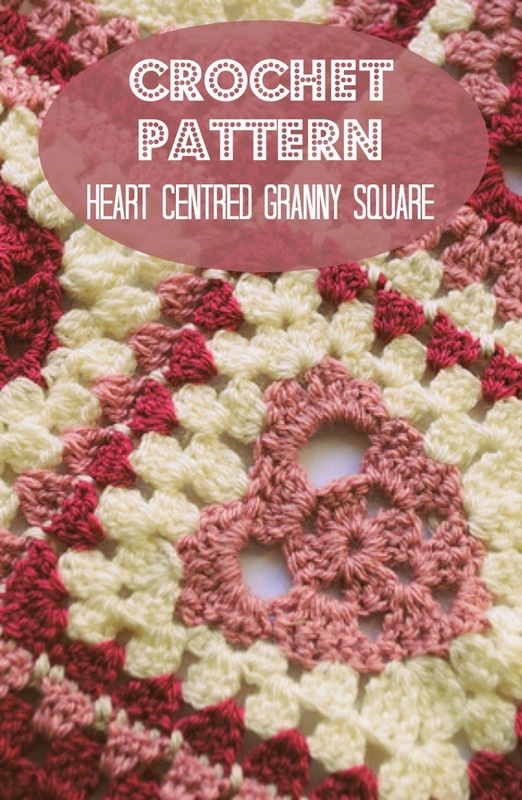 A colourful heart granny square blanket. 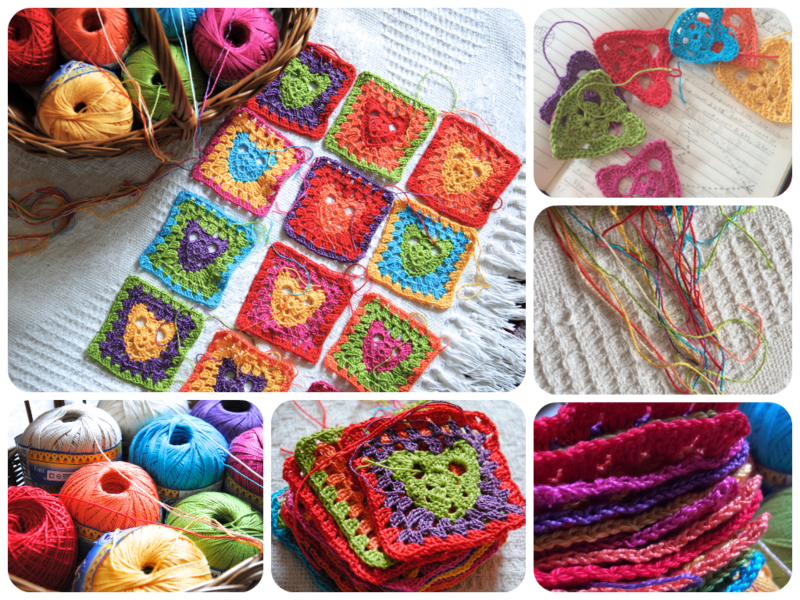 I'm using DMC petra in a range of lovely bright colours and the pattern I wrote for a heart granny square many moons ago. I've actually reworked this a little and will be updating the original pattern shortly, to what I feel is a better version. I'm going to finish each block with white, joining the squares as I go. I'm only about halfway through the squares and they need a bit of blocking, but I'm really pleased with how it's going so far. Second up is a basic granny square, using Rowan Felted Tweed DK and I just plan to keep going until I run out of yarn, which will be soon I think. This was the first one I started, way back when I first found out I was pregnant and needed something simple to work on. And lastly, I started this on Saturday. 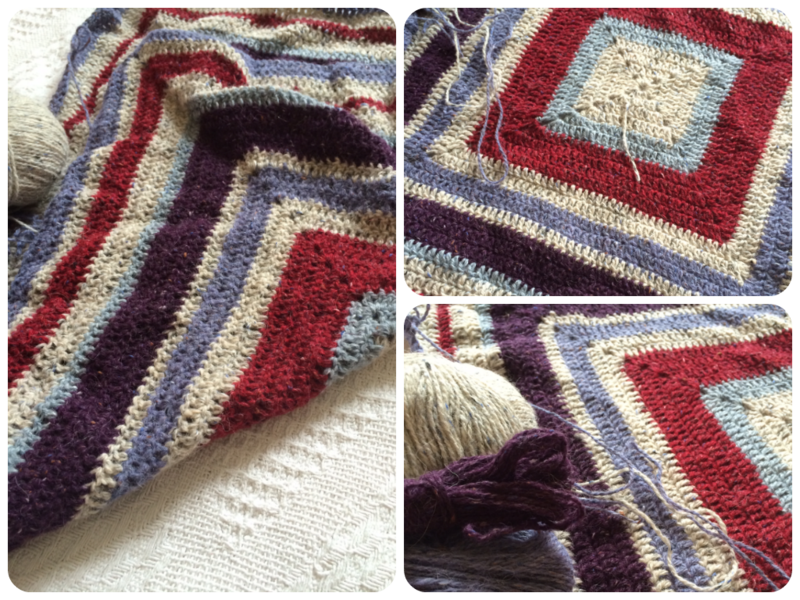 A simple knitted chevron blanket, pattern from the purl bee. 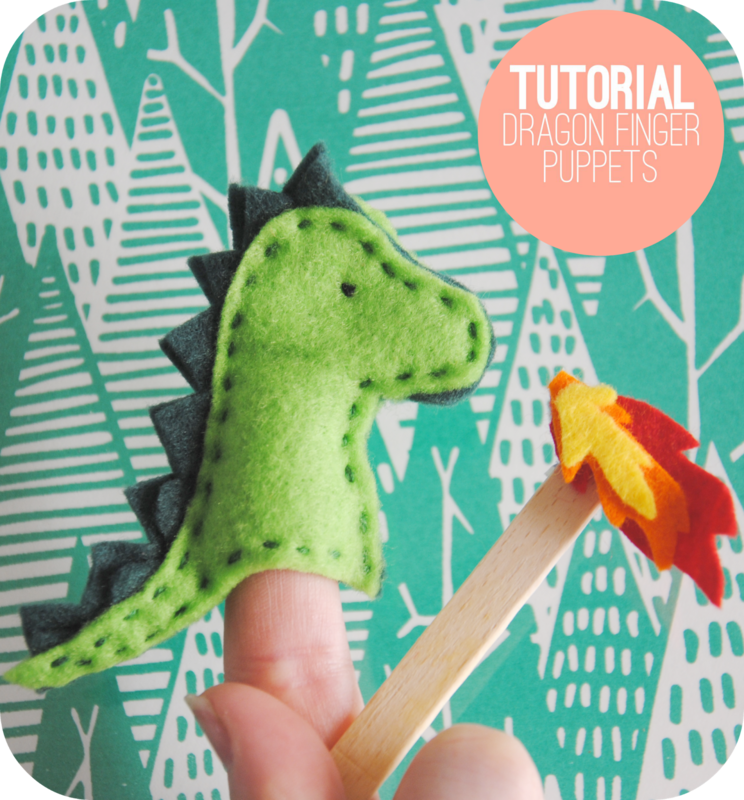 We were off to the cinema to watch Tinkerbell and the Pirate Fairy (pretty dire in my humble opinion but kept the boy entertained) and I really needed something simple I didn't need to look at to keep me occupied. After a quick search of ravelry this came up and thought it looked perfect. I'm using Red Heart with Love, I'm hoping I might be able to dye it on completion, I'm thinking some kind of ombre effect, using Kool Aid, but as it's 100% acrylic this might not be possible. I'll do a test at some point to see. Now it just remains to be seen if I ever actually finish any of them! As I'm pregnant and all, I sensibly decided now would be a good time to give our whole house a bit of a overhaul, because you know heavy lifting and painting are two things you should definitely make sure you're incorporating into a safe pregnancy! Milo's room is first up, I'm moving him completely, due to some damp issues in his current room. On emptying, what was the spare room, of all it's contents, I thought 'well as it's empty it would be foolish not to paint it', as you do. Milo decided after much deliberation, that he wanted his room to look like 'Bart Simpsons, from the Lego house'. So after some consultation with the paint chart we choose 'Natural Twine' from Wilkinson's for the walls. 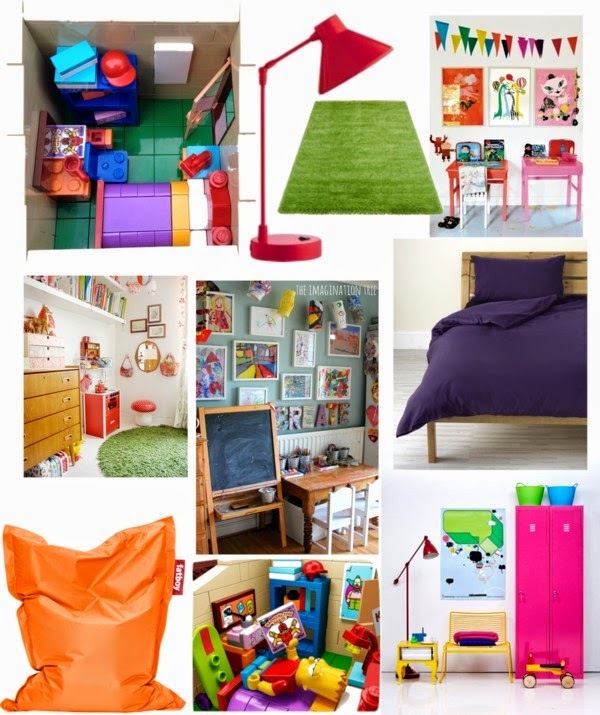 I'm sure it's not normal for a 5 year old to choose to have a 'beige' bedroom, but I figure it's a good base to add some colourful furniture to. 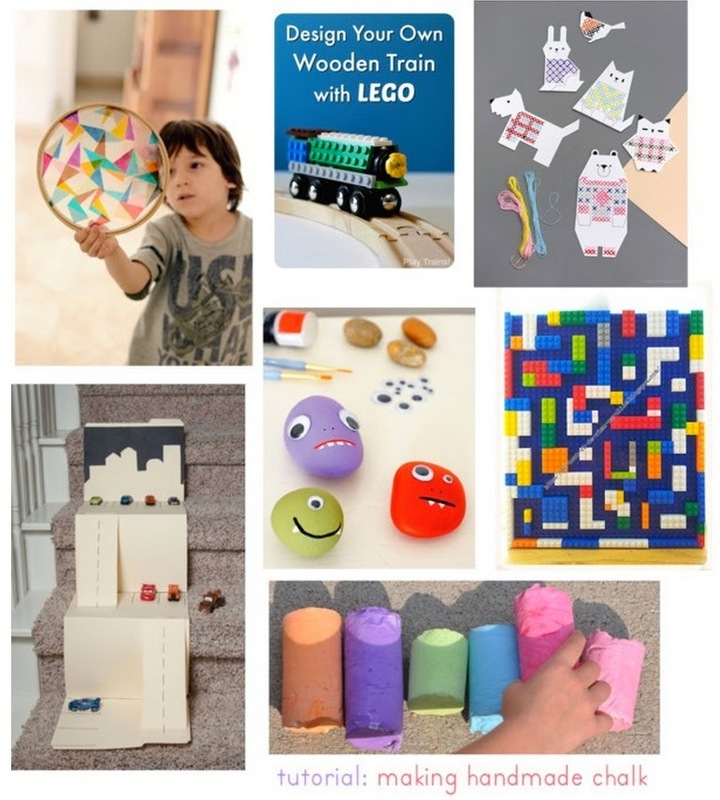 Click the little pictures at the bottom to see the original source of the images above, or click the big picture to see more of my Room for Little Ones pins over on pinterest. The key points I'm thinking of working with, from Bart's room are the green flooring, red lamp, purple bedding and colourful furniture. Fortunately Milo has a lot of white furniture already, so painting it up in bright colours shouldn't be a problem. To replicate Bart's posters I thought I'd get Milo to do some nice pictures for me (maybe even a Krusty the clown drawing!) and put them up in some simple frames. I also think the addition of a pin board to keep all his school certificates on would be a really lovely idea. It's all going very slowly at the moment, but I hope to share the finished article with you soon. The baby now weighs as much as a mango, according to my baby centre app. I'm not entirely sure how I feel about baby size as fruit comparison, for a start I'm no fruit weight expert, but a mango really can vary quite substantially in terms of size. All is fairly well with the baby as far as I'm aware, you really do get a lot less care with your second pregnancy. She's moving lots, still mostly flutters, no big kicks or movements yet, although the hiccups can be quite violent! As for me, apart from the dreadful cold I've been fending off, all is well. I mean, I'm a hormonal wreck, that can burst into tears at the slightest thing, Milo writing a beautiful message to his best friend on his birthday is the latest to tip me over the edge and I'm fairly sure Johnny won't forget to bring me home chocolate again, after my last reaction to that misdemeanour, but generally I am well. I had a real moment of 'oh my I'm a having a girl' the other day, I don't think it had really sunk in before, to be honest, half the time I'm not entirely sure I really believe I'm having another baby at all. My Mum rang me, whilst sorting out her house for her big move to consult with me on what I would like to keep from the hoards of belongings she has accumulated over the years. This is a fairly regular conversation we have at the moment. After my initial cries of 'I don't want anything, chuck it all away', she told me 'I'm not throwing out the dolls house or dolls crib, but you're welcome to either of them'. Suddenly I had a vision of my daughter, in a bedroom with toys from my own childhood. It seems so strange to think of another girl joining our boy dominated household. I'm so used to having a son, I wonder how different it will really be? Of course I tell myself now, I will not bring her up as a girl, but as a person, she will have no more or less dolls than her brother, but I wonder how easily swayed towards girlyness I will become once she's here? Urgh, as the title suggests I am in fact, poorly, it's just a cold, but boy is it getting me down. I'm now into my fourth day and I've really had enough. I'm guessing the fact I haven't managed to shrug it off yet has something to do with pregnancy, does pregnancy give you low immunities? I'm under strict instructions from the mr to do nothing today but relax and sleep, I am not to get out of bed until it's time to do the school run. I have no doubt he's right and that is exactly what I need, but sitting here doing nothing when there is so much to do, is actually more difficult than you might think. I've set up camp with lots of crochet, some baby knits in need finishing up, I have a couple of episodes of Game of Thrones to catch up on and the brand shiny new copy of Inside Crochet which just fell through my door, I have orange juice and lemsip and strepsils and karvol capsules and vicks and I'm hoping that a day of nothing will be exactly what I need to get back to normal health, wish me luck! 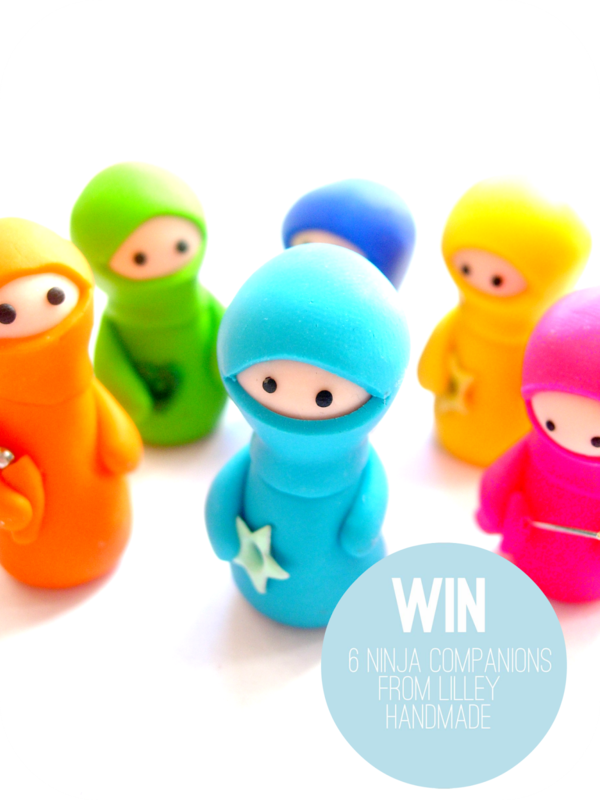 This week I'm giving you the chance to win 6 Ninja Companions from my own etsy shop, Lilley Handmade. I've been making and selling items on etsy since the day I discovered it existed. 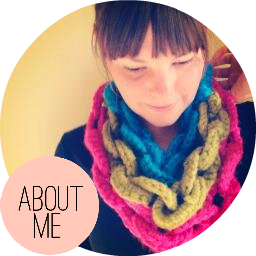 I love it so much and really believe that if you want to make a living selling your handmade wares etsy is the place to do it. I've put together a collection of 6 ninja figures which are big sellers in my shop and am offering you the chance to win these little companions. 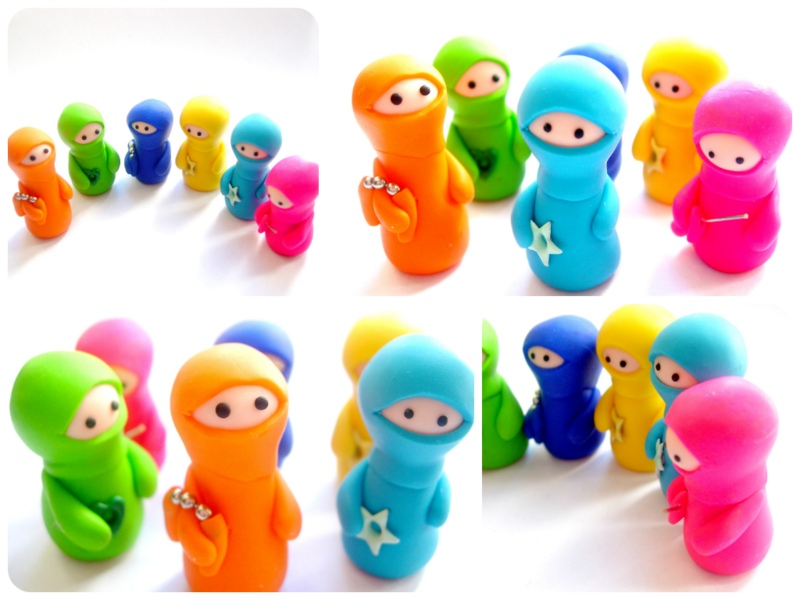 I sell sets of 6 Ninja Figures in my shop for £25. All you need to enter is fill in the rafflecopter form below. If you haven't yet signed up to shop on etsy you should definitely do so, if you follow my link you'll get yourself a £5 gift certificate towards your first purchase and if you fancy setting up your own shop, follow this link and you get your first 40 listings free of charge! So I really cannot complain about the weather of late, the last few days have been especially glorious, even prompting our first trip of the year to Cheltenham's Lido. But today is dreary and rainy (though still lovely and warm) and I appear to have caught a cold. So I'm feeling a little sorry for myself and in an attempt to cheer up am dreaming of hot summer days and festival season. 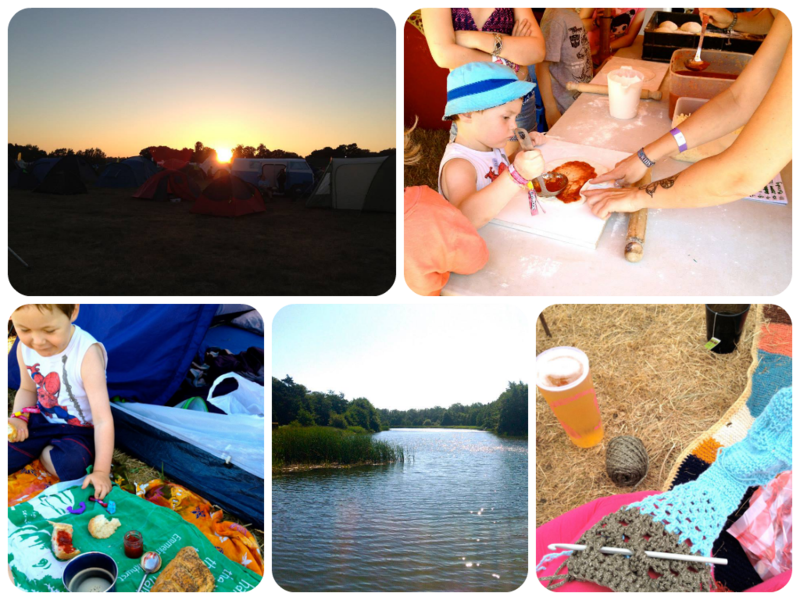 Last year Milo and I headed to Latitude, which was by far and away the best festival I have attended to date. 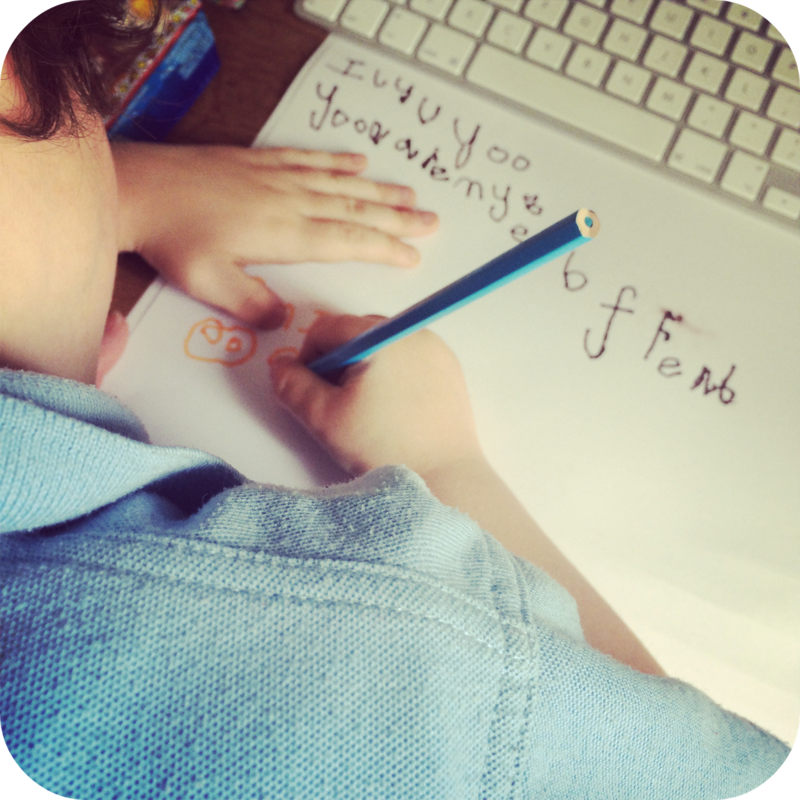 I wrote all about it over on the Ask Baby Cotswold website. The whole atmosphere and the location were just perfect for a family and I heavily recommend it if you have little ones to entertain. It's definitely high on my list of festivals I'd like to attend this year. I haven't even really considered the line up, but I just know that we'll all find something that we love there and pleasing everyone in my family isn't always the easiest of tasks! The only downside to me, for Latitude, is that for us it isn't a short journey away. In fact I think last year from leaving our home to setting up camp it took a grand total of 10 hours. It was certainly worth it, but I wonder if I'll feel the same way this year, seeing as I'll be 30 weeks pregnant and all. Looking more locally I really love the sound of Camp Bestival. It's on the weekend after Latitude, which also means it doesn't conflict with school and should be only half the journey time. I've never been before, but it seems even more kids orientated than Latitude. The list of kids activities and performances is incredible and I have absolutely no doubt Milo would be in heaven. Another family festival that really caught my eye is the Big Feastival, organsised by Jamie Oliver and Alex James, and super local to us in Kingham, pretty much mid way between here and Oxford. 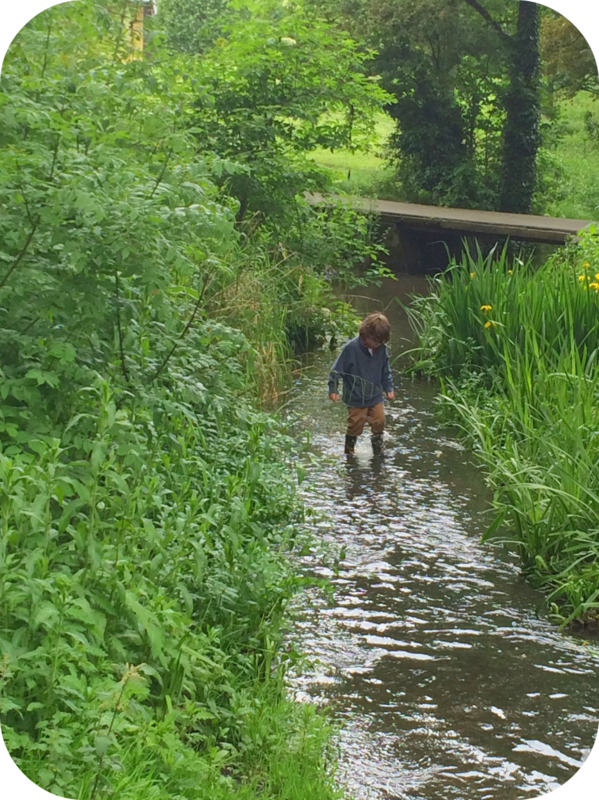 Ang from Ask Baby Cotswold went last year and reviewed it over on their website and it certainly sounds like the perfect mix of everything I love, food, music and entertainment for the kids. Though it's on right at the end of August, I'll be about 37 weeks pregnant...I like the idea of it now, but may feel a bit differently at the time! I would still certainly consider going, especially as it's so close to home. I would love to hear of any of your experiences festivalling whilst pregnant or with little ones in tow. Since finding out that baby number 2 is going to be a girl, I won't lie, I have been getting a little excited about all the new clothing possibilities. However on actually going out to investigate shopping options I found myself incredibly disappointed by the choices available to girls. Throughout Milo's childhood I have complained endlessly about how girls have so much more choice than boys when it comes to the clothing departments and they certainly do, the girls departments are generally about two thirds bigger than the boys. However since actually attempting to shop these departments I've found them so uninspiring, so full of frills and lace and pink. After meeting Tilly of Tilly and Buttons last weekend and since then purchasing her book, I feel I may actually be able to sew some pieces for the little one myself. 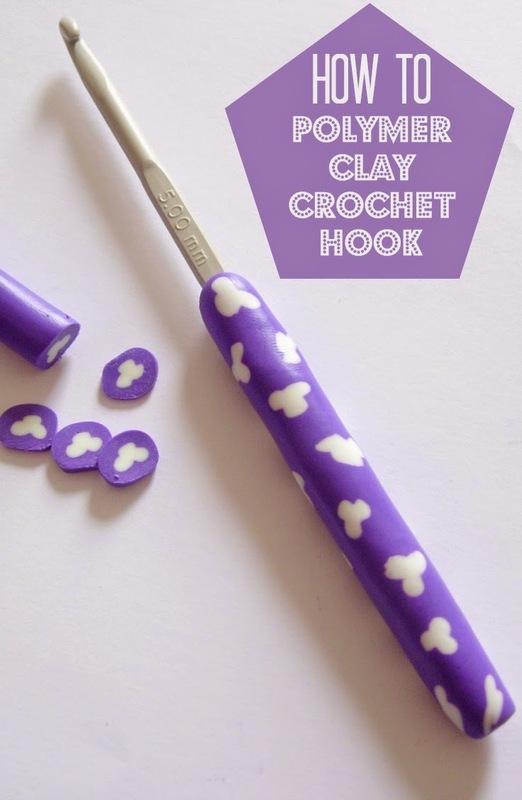 Which has of course sent me into a pinterest binge-discovering the most wonderfully adorable patterns for little ones. 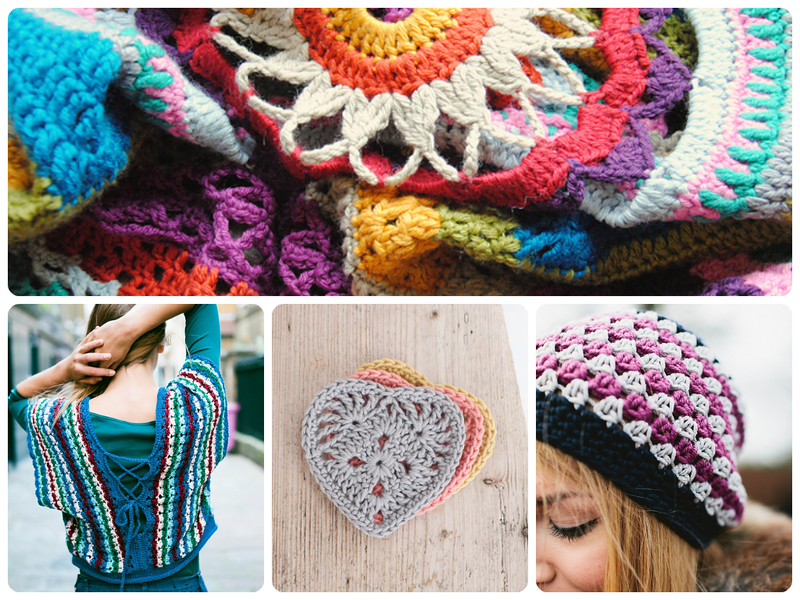 I've also found Plush Addict (via Tilly's blog) which is so full of beautiful fabrics. 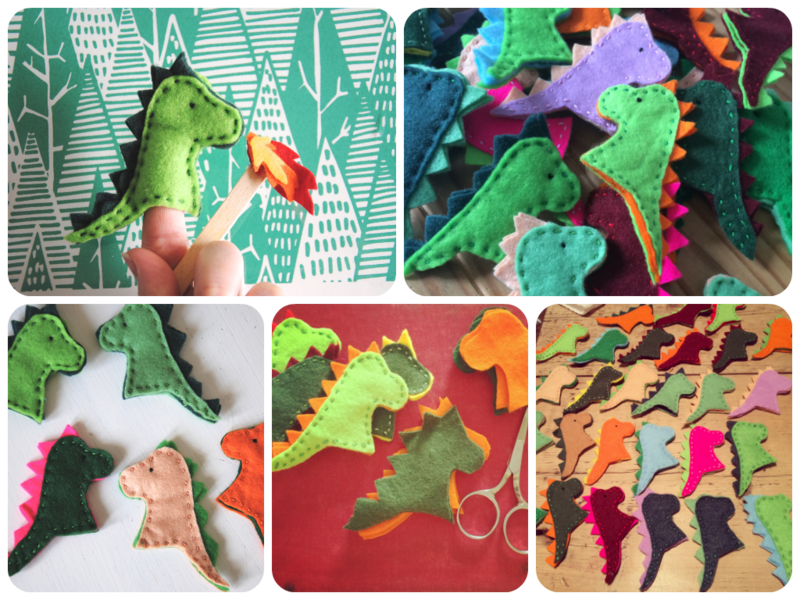 Click the little pics at the bottom to see the source of the pics above and the big pic to see more of my sewing pins over on pinterest. I would love to hear any recommendations you may have or any sewing for baby experiences you have. 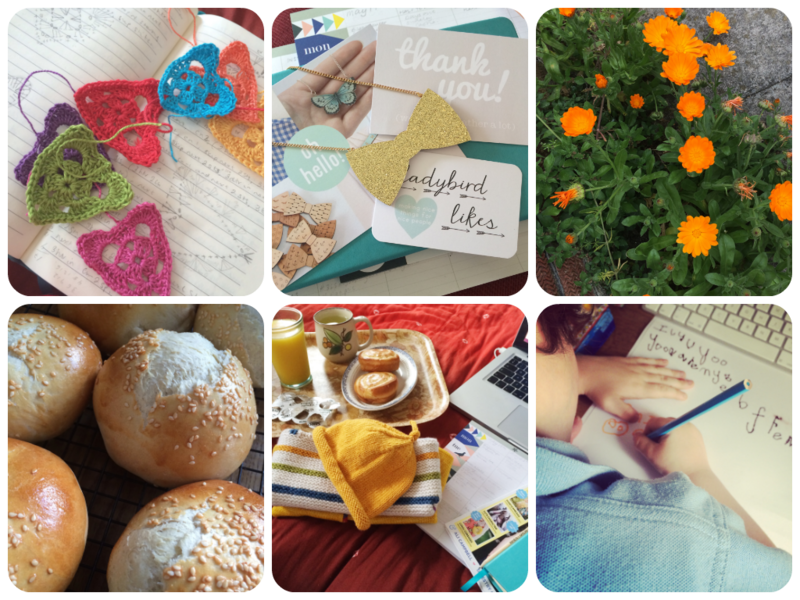 Now I'm getting back into regular blogging, I thought it would be nice (for me as much as anyone else!) 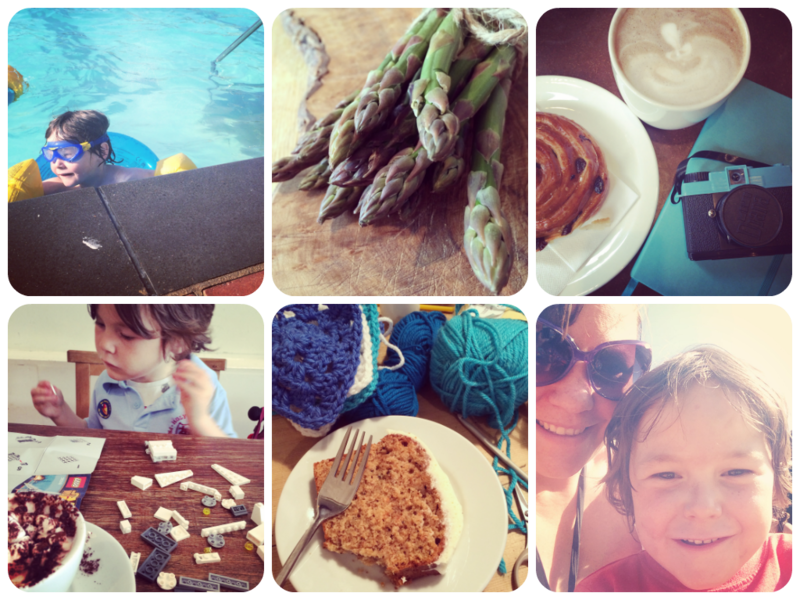 to keep a little pregnancy diary here on the blog. So I start today at 22 weeks. I'm really beginning to feel so much better now, I'm no where near as exhausted as I was back in those first few months. All nausea has passed too. Though there are new ailments to contend with, namely, dreadful, indigestion. I suffered from this with Milo but to be honest had forgotten all about it. Fortunately Joanne gave me a lifesaving tip at the weekend - chew gum. Your saliva has natural neutralising qualities, which really does work incredibly well. The only other problem I'm really enduring at the moment is what to wear. I seem to be growing in a variety of places, not just my bump! I'm sure this wasn't such an issue in my first pregnancy. Almost all of my regular clothes are now much too much on the snug side. I'm finding leggings, bump bands and maternity vests my best friends, but definitely feel the need to invest in some more appealing maternity wear. If you have any suggestions of where to find such things I'd love to hear them. Joy of Oh Joy has started a great video series on her blog this week, which tackles the whole issue of maternity wear fabulously. Otherwise all is well. She's moving about so much more now, it feels so strange compared to Milo, because I have an anterior placenta (at the front) meaning the movement feels so much more internal. Johnny still has yet to feel any kicks as external movement is so rare. Although Milo just felt her hiccupping, which was wonderful. 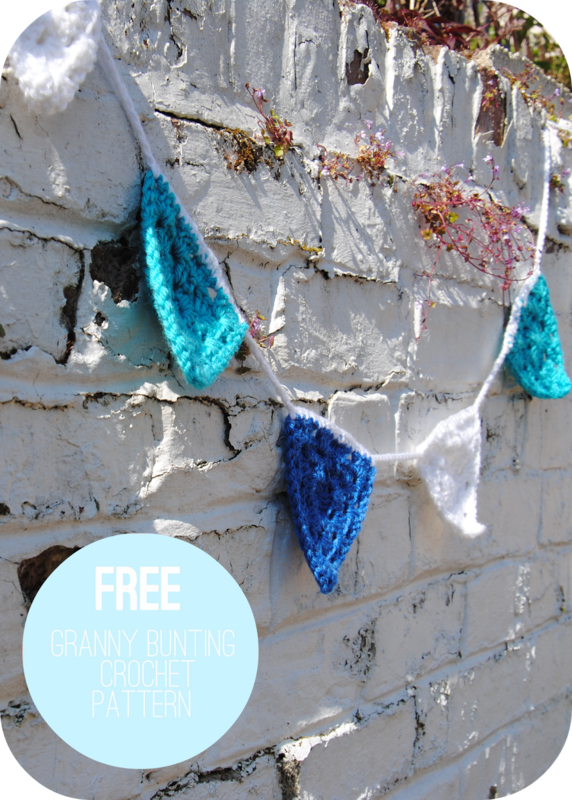 Many moons ago I wrote my first ever crochet pattern, a series of simple crochet triangles strung together to create some bunting. The original bunting still hangs in my garden, looking much more 'antique' than it did back then, in all it's faded glory, but I still love it and admire it everytime I head outside. We're currently having a bit of shuffle about in our house, swapping rooms around, freshening things up and doing a little redecorating. As I headed out the door to Craft Night on Wednesday with literally nothing on my knitting needles to take along, I grabbed a handful of blue yarns and decided to whip up a string of bunting for Milo's new bedroom makeover. At that moment he was adamant he wanted a blue bedroom, though this has since changed, of course. 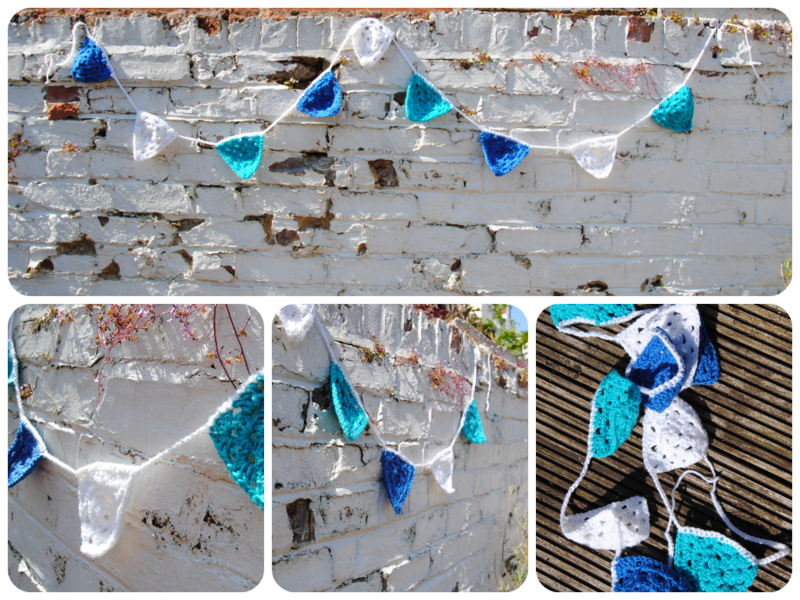 This pattern is so quick and simple, I made the entire length of bunting here over the space of 2.5 hours whilst chatting with friends and consuming cake. 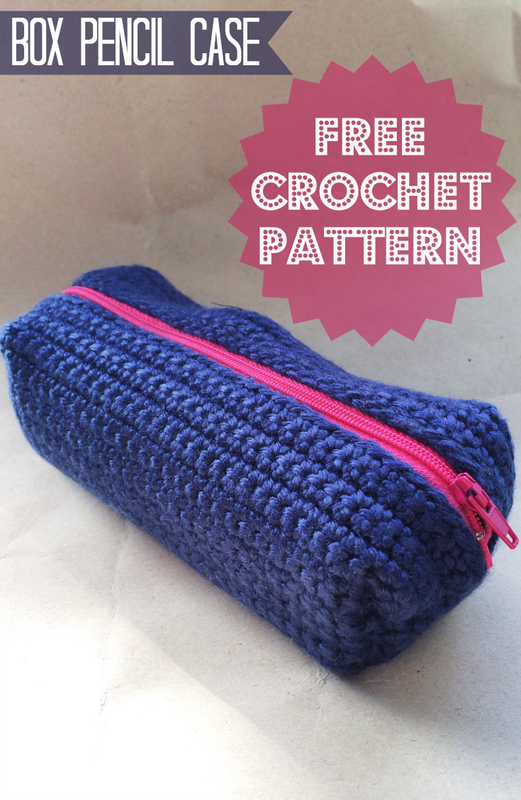 If you fancy having a go at making your own version you can head on over to the original post to see the pattern. 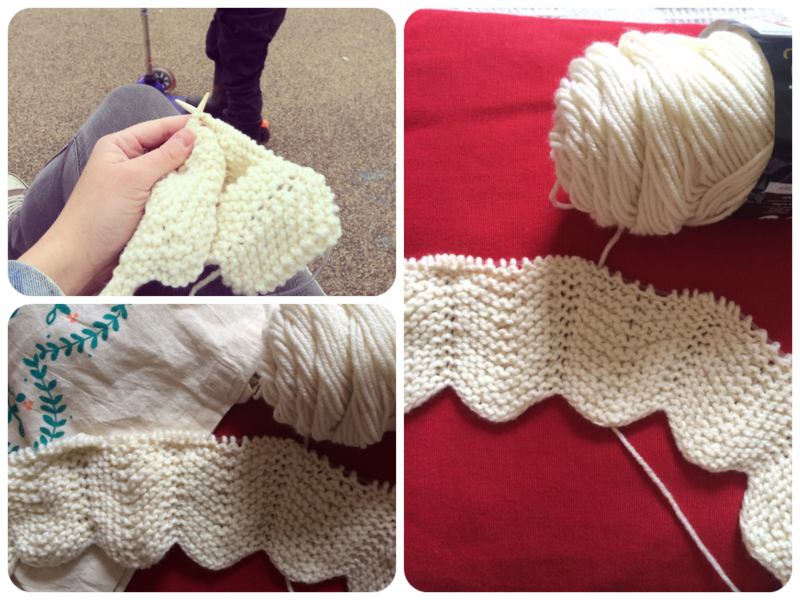 For this version I made each triangle in a single colour, but I was so undecided! 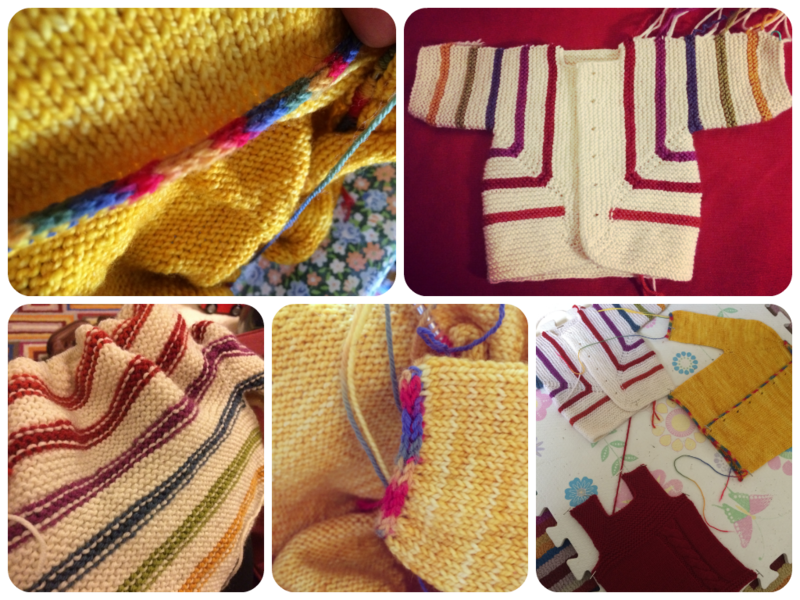 I really love the original with lots of different colours, maybe I could make some more for the baby, before she can dictate colour choices for me! 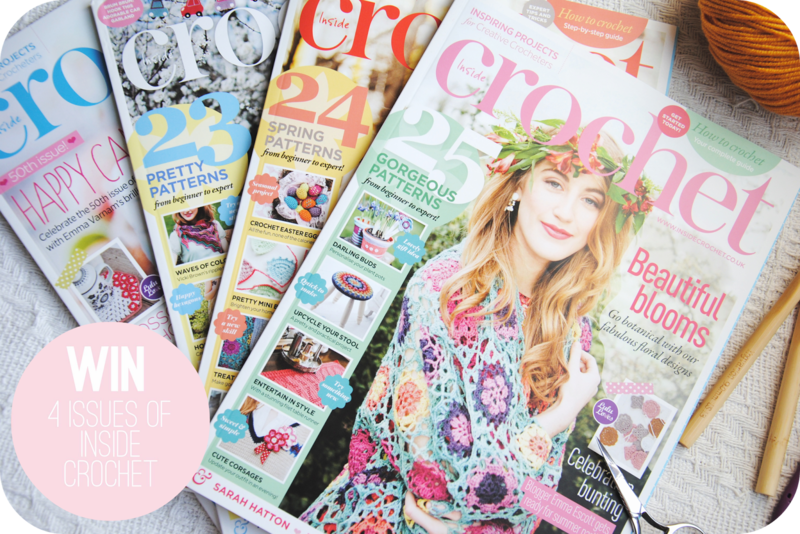 I'm excited to have 4 copies of Inside Crochet Magazine to giveaway! Each and everyone of these issues is full of wonderful patterns, created by truly fabulous designers. I've picked out a few of my favourites from each issue below (including a cheeky couple of my own! 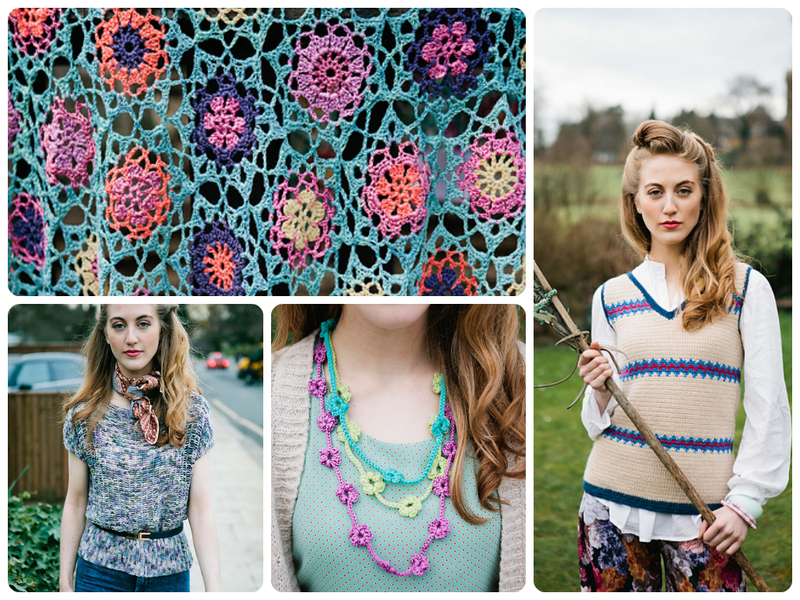 ), but if you click on the images you can see the full collections over on ravelry. Competition is open worldwide and closes next wednesday. Simply enter via the rafflecopter form below.